I resided in Hawaii for 10 years before returning to my home state of Washington. Graduating from The All Hawaiian School of Massage in 1991, I worked and fulfilled my apprenticeship in Honolulu. Training in Deep Tissue Swedish, Relaxation Therapy, Shiatsu and Lomi Lomi techniques. 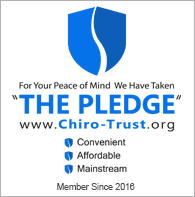 In January 1997 I joined the Massage Team at Hanson Chiropractic and have always loved the healthy, natural healing approach that our clinic has to offer. It has always been my goal to support the natural healing process and help others through the healing art of massage. Over the last 19 years there I have gained knowledge and experience through giving Injury and Treatment therapy. Some of my continuing education has consisted of different techniques to learn and build my skills of injury work, deep tissue treatment, body mechanics, and active and passive stretches. I really enjoy learning something new and then incorporating that into the treatment hour when it’s beneficial. After all these years I still love giving back and shoulder work the most, but really enjoy giving people foot work as well. I am grateful for massage for so many reasons: the reduction and relief of pain, relaxation and stress release, well being, improving range of motion and circulation….the list goes on! Being a Massage Practitioner has been a rewarding career for me and I hope to continue to promote positive changes in the body! I was blown away by the amount of care and kindness that the Hanson Chiropractic staff put into their clients and into the variety of ways to help heal you. They knew my name by my second visit and have never forgotten it since.